In November 2011, the think tanks Reform Scotland and the Centre for Scottish Public Policy set up the Commission on School Reform to consider whether the school system in Scotland is meeting the present and future needs of young people and to make specific recommendations as to how things might be improved or areas that require further enquiry. The Commission has now reported and its recommendations have the potential to shape the strategic direction of Scottish schooling for decades ahead. The Scottish Educational Leadership, Management and Administration Society believes that these key ideas require rigorous discussion and debate. To start that process we are delighted to have secured a panel which includes two members of the Commission, two respected academics and a headteacher to discuss the proposals. The event will take the form of a Brains Trust. 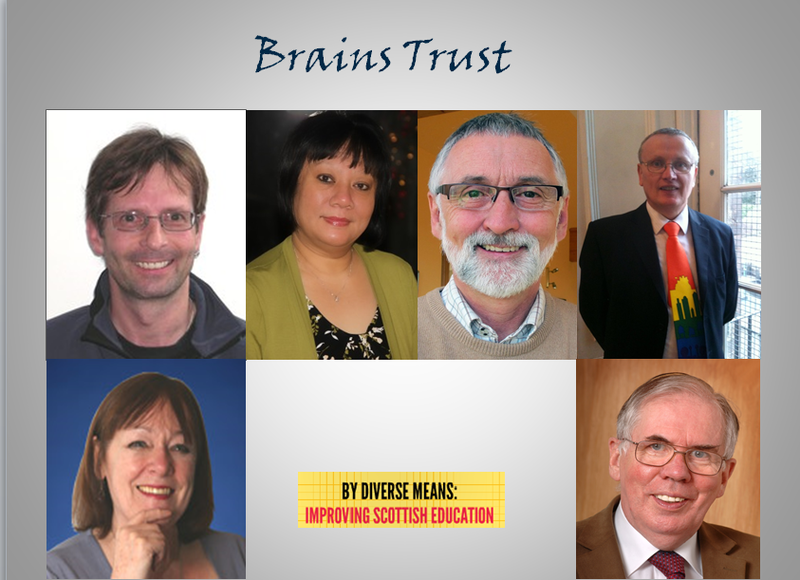 Entry is free and you are invited to join SELMAS and the panel at 4.30 on Tuesday 23 April in Drummond Community High School, Bellevue Place, Edinburgh. Tea, coffee and biscuits will be served prior to the commencement of the Brains Trust. Entry is free but to facilitate seating and catering, it is essential to inform Alex by email if you would like to be added to the guest list. Donald MacDonald: Headteacher, James Gillespie’s High School, Edinburgh.